*Authorized Pella Certified Contractor* In 2001, owner Shawn Kalgren decided to make a career change that would ultimately set a new standard in the home renovation industry. He left the North Carolina school system to pursue a different type of service – Southern Home Services. Using his teaching skills in combination with his 15 years of home renovation experience, Shawn created a company whose values and principles are reflected by its “A+” craftsmanship and exemplary customer satisfaction. At Southern Home Services, “Exterior Renovation perfected by Superior Dedication” is not only our motto, but our pledge to every project we undertake and to every customer that puts their confidence in us. We can do this by bringing educational experience and trade expertise to the table so no customer is uninformed and no detail is overlooked. This is why Southern Home Services won’t be seen on television or heard on the radio – their customers do their advertising for them. JW Services, Inc. is a family owned company that is dedicated to quality work on all roofing, gutters, windows, sidings, and other jobs. 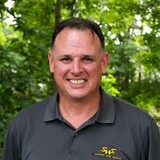 The business is run by John Worden, a fourth-generation expert contractor in business for more than ten years and with more than 17 years in the industry as a whole. We’ve served commercial and residential property owners through Charlotte, NC and the surrounding areas, including Pineville, Gastonia, Concord, and Kannapolis. Our talented and experienced crew offers honest work, superior craftsmanship, and a commitment to staying on task to complete all work, from minor roofing repair to large commercial roofing replacements, with the same determination. We are a professional roofing company that aims to please by offering uncompromising commitment to excellence and fresh ideas to every challenge. Our strengths will remain in the partnerships and relationships we create and maintain in business. Give us a call today! 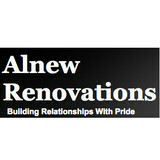 Alnew Renovations was established in 1984. We are a family owned and operated business. Our goal is customer satisfaction. We strive to bring you the best in quality workmanship at a reasonable price. You will not find hidden fees or work that is not first discussed with you the homeowner. We are an honest company believing that integrity above all is of the utmost importance. We are fully insured. Philosophy Building Relationships With Pride Personal attention to each job Each client receives one-on-one attention from the beginning up to the end of the project. Client participation To ensure our client’s needs are satisfied we constantly invite our clients to participate and provide input during the design process. Professionalism We maintain a consistently high level of professional care and responsibility in each job. We guarantee all of our work to be of the highest quality, as we know our clients would expect nothing less. Your project is our project. Legacy Pre-Finishing, Inc. is a custom siding & lumber pre-finishing factory and specialty wood supplier. Legacy Pre-Finishing, Inc. offers value-added siding and trim products to the custom home industry and its many distribution channels. 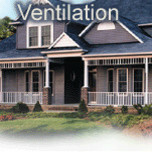 Products include: Cedar, cypress, and pine; hardwoods; LP Smart Products; Cedar Valley & Shakertown shingle panels; Hardie, Plycem / Allura (formerly CertainTeed Weatherboards), & Nichiha fiber cement siding; Miratec & other composite trim products; individual cedar shingles; & custom timber-frame packages. 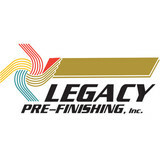 Legacy Pre-Finishing, Inc. has shipped pre-finished materials from coast to coast and internationally. When contractors have discussed complicated installations, risky coating applications, or other coating related concerns on landmark construction projects, lumber industry professionals have felt secure offering pre-finished products and trusting the professionals who built the foundation that became Legacy Pre-Finishing, Inc.
Belk Builders is one of South Charlotte’s and the surrounding area’s best kept secrets among discriminating homeowners. We specialize in upscale siding replacement and installation, window and door upgrades and replacement, as well as roofing. We are a roofing, siding and exterior remodeling and renovation contractor servicing Charlotte and surrounding areas. Why Choose Charlotte Right Way Exterior Solutions? At Right Way Exterior Solutions, LLC, we have been providing reliable Charlotte roof repair, gutter guards and other exterior home services for over 30 years. Get peace of mind by knowing you are not working with a fly-by-night roofing and siding service company. We arrive on time so you don’t end up sitting around waiting on a home services technician that may never show! We will arrive in a timely manner and complete the job on time. Carolinas Home Pros was founded back in April of 2011 by Ron Bauguss. Ron has one daughter Madison, 3 dogs, and has always lived in North Carolina. Ron is the owner/operator and personally meets all of our customers. Carolinas Home Pros has a single goal in mind: to offer high-quality siding, window, and door replacement in Charlotte and surrounding areas at fair and reasonable prices. To help achieve this lofty ambition, we knew we had to commit ourselves to offering top-drawer customer service. Home Charlotte's #1 Roofing Company AAA Affordable Roofing is your reliable roofing contractor, offering more than 40 years of professional installation, repair and maintenance experience. Locally owned and operated since 1972, we service all commercial and residential customers in the area. As a GAF Authorized Master Elite Residential Roofing Installer, AAA Affordable Roofing has credentials that recognize and qualify them in the top 3% of roofing contractors in the Country. The quality of your roof is guaranteed. Want to hear more? Contact us today for a fast, free estimate on any type of service! Your imagination is the only limit when working with us here at High Tech Stucco. High Tech Stucco has been family owned and operated since 1987. We have been providing a full line of Stucco and Stone to Commercial Builders and Home Owners in North Carolina for over 21 years. Our attention to detail and affordable pricing have made us a "must contact" company when it comes to your stucco and construction needs. With free estimates and a no hassle sales staff we are always available for your phone call. High Tech Stucco has distinguished itself from other stucco and construction companies by only offering top quality materials, an experienced labor staff and an extensive workmanship guarantee. Simply said, if you have a stucco or construction project, we have an affordable solution. Installing Seamless Aluminum Gutter, Vinyl Siding, Replacement Windows and Doors in Charlotte, NC and the surrounding area for over 40 years. Pete and his crew are your local experts in exterior home remodeling in the Greater Charlotte Area. From windows to siding to custom projects, they can get it all done for you and get it done right! If you want quality work and quality professionals, contact us for your next project. The siding of your home is a hugely important factor when it comes to first impressions; a damaged or mismatched exterior can cast a negative light over a property’s entire aesthetic! If you need new siding installed, or your exterior is in need of repair, repainting or replacing, an India Hook, SC siding and exterior contractor can help you out. What types of siding services do India Hook exterior contractors provide? Wood siding needs more maintenance than less-expensive, low-maintenance vinyl siding, but with proper care it will outlast vinyl siding, which can fade and crack over time. Your India Hook, SC contractor might also suggest fiber cement siding, which is fire resistant and termite-proof and can come with a warranty of up to 50 years. Find siding and exterior contractors in India Hook, SC on Houzz. Narrow your search in the Professionals section to India Hook, SC siding and exterior contractors. Find out how long an India Hook, SC exterior remodeling contractor has been in business, view portfolios, read reviews and get contact information.